Club members join offices according to their preference of where to help out with the work involved. The MRCC regularly organises Beginner's Sessions when total newcomers to the sport can sample the vertical world in safety and assess whether this is a sport they could take to. Once hooked, beginners can join the regular Sunday outings of the Club when these are booked for appropriate venues. Here they receive informal training on safety, rope management, climbing techniques and ethics. Mentoring of the newbies in this way brings them quickly up to speed through learning by doing. Over the last 15 years, the MRCC has initiated a large number of newcomers, many of whom have become the active climbers of today's climbing generation. Once they have acquired the necessary skills these in turn help take out other beginners...and so the cycle continues. The arrangement is cooperative and mutually rewarding. Maintenance of access, pathways and general cleanliness of the natural environment of popular crags is an issue to which the MRCC dedicates significant resources. We find enjoyment and recreation in Malta's wilder places and have a responsibility to ensure that this environment remains as unspoilt as we found it. To do so we must enjoy it in a sustainable way, minimising the impact of our activities. The best way to do this is the keep to established pathways when approaching a crag, take everything that we carried in back out with us when we leave and cause as little disturbance as possible to the geology, flora and fauna around our crag. Every year the MRCC organises cleanups, bramble cutting and footpath maintenance for the benefit of our members and all climbers on the islands. Whenever a major hazard or eyesore requires a more concerted effort to clear it, we bring in whatever big-guns are needed and get the job done. We also identify black-spots where access is dangerous or awkward and tackle these in the most environment friendly manner possible. The Lower-offs being installed in the major climbing areas and elsewhere prevent trampling of the flora at the top of these crags and allows the ecosystem there to regenerate naturally. Since 2005, the MRCC has been responsible for a major bolting project in conjunction with the Malta Tourism Authority (MTA). This is the most significant development in the history of climbing in Malta. 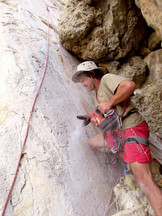 With the growing interest in climbing among the Maltese, and the potential to create a market for visiting climbers from continental Europe, the need to develop a number of crags with fully bolted routes equipped to the highest standards was established by the leading lights of the local climbing scene. This was crystallised into the MTA-MRCC Bolting Project that has been running since 2005 and has resulted in a number of areas being converted into klettergartens while other areas have had individual routes of note converted into bolt climbs. For this project, the MTA has generously provided the funding for the hardware while the MRCC has been providing the skills and manpower to purchase, install and maintain bolted climbs in predefined areas of the Islands. This is an ongoing project spread over many crags on Malta and Gozo and its scope and reach is always growing and developing in unison with the changing local climbing scene. 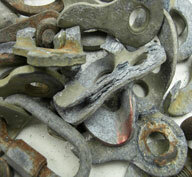 Bolting can be a contentious issue. There are ethical and environmental considerations, aside from the obvious safety issues that must be weighed carefully before a decision is taken to place bolts on a climb or in a climbing area. Some years back, the most influential local climbers got together and agreed on a bolting policy that would strengthen the tradition of natural climbing in Malta while simultaneously allowing the development of bolted climbing here too. The MRCC was instrumental in bringing this about. The bolting policy of the Maltese islands is published and can be found on page 18 of the guidebook to climbing in Malta: Malta Rock Climbing - the comprehensive guide. 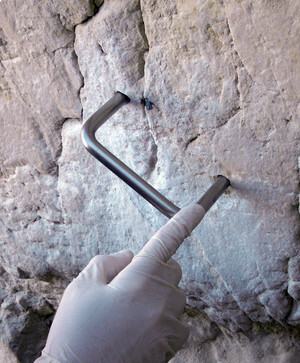 This identifies which crags are bolt free, which are free-to-bolt and which are designated as being allowed only bolts where rock is friable or no natural placements can be found to keep the climber reasonably safe. This policy has recently been revised in the light of a surge in the popularity of climbing among the Maltese since the publication of the guidebook in 2007 and the setting up of a new club (MCC) in 2010. The fact that only one klettergarten existed on Malta (Wied Babu east face) until recently meant that this small crag was facing increasing pressure from the number of people frequenting it. A resulting deterioration of the environment there prompted the realisation that the pressure had to be taken off this crag by developing other crags that could offer a similar range of climbs and level of safety as Babu. The MTA-MRCC Bolting Project made this possible. Now, slowly but surely, the project is making new or retro-bolted climbs available as fully bolted sport routes in designated crags in both Malta and Gozo (with the added help of another club the GCA). It is important that anyone who wishes to install bolts should consult with the MRCC to ensure that their activities do not run contrary to the established project plan and that the process of developing Malta and Gozo as a unique venue that embraces and promotes both traditional and sport climbing, moves steadily forward. 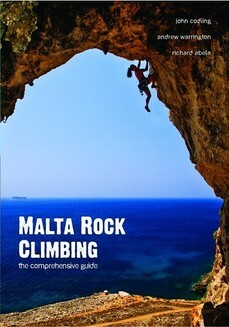 In September 2007, the definitive guidebook to climbing in Malta was published by Moonstone Publishing and the MRCC. This was the culmination of a process that began in 1986 just after the publication of Malta New Climbs, which itself was an update to the 1970s guidebook Rock Climbing in Malta. With the publication of Malta Rock Climbing - the comprehensive guide, the MRCC set up the website www.maltaclimbingguide.com as a medium through which anyone setting up a new route on Malta, Gozo and Comino could report this route and ensure that it appears in all future editions of the guidebook. This serves as a national database of established rock climbs in the Maltese Islands. Members of the MRCC are very active in exploring and establishing new climbs, both trad and sport. As part of its service to the climbing community, the MRCC posts these routes on the website under the heading of New Climbs so that anyone wishing to try these new routes does not have to wait for the publication of the new guidebook (all information about new routes is strictly copyrighted to Moonstone Communications and the MRCC). See the News/Events section of this website for pictures and reports of recent Club activities and initiatives.